Enjoy the absolute comfort and convenience that our hotel rooms deliver. 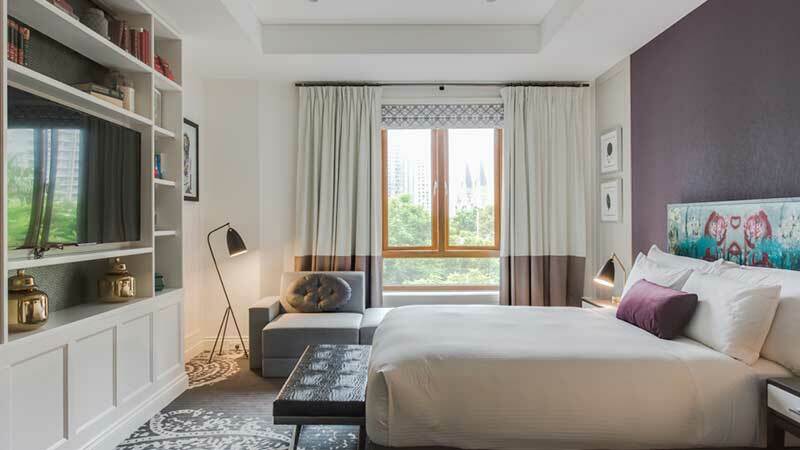 Suited to the individual traveller or couples on an overnight stay, with their blended textures and finishes, they are the perfect place to retreat from Brisbane’s busy city streets. During working hours, take a seat at our workstation and be inspired by the modern sensations that surround you. Tune in to the latest movies through Apple TV on our flat-screen LED television, connect to the outside world with our iPad Mini, or relax with your favourite music when you connect your device to our docking station. When your day is done, sink into our luxurious queen-size bed with its high thread-count linen. We’ll have you dreaming sweetly in no time at all.